The Worcester native (St.Peter-Marian HS) served as the GM of the Toronto Blue Jays from 2002-2009 before taking his most recent role with the NY Mets. Before his eight year stint with the Blue Jays, JP worked with Billy Beane in Oakland Athletics organization helping build that organization into a perennial playoff contender. 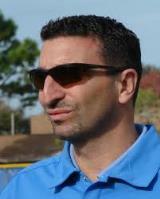 Having served many different roles in professional baseball – from player, to scout, to GM – JP Ricciardi will share his vast knowledge and lessons seen and learned about infield play with the MBCA.